Health care organizations are investing millions of dollars in emergency and urgent care centers across the Spokane region to treat the growing number of patients who have gained insurance and access to health care. CHAS Health will open two clinics this year to help meet a growing demand for health care from the newly insured. The Rockwood Health System is building a new 24-hour emergency center along North Division Street. And Providence Health Care has opened three new urgent care centers in the past three years. More than 50,000 people in Spokane County have signed up for insurance since the Affordable Care Act took hold in late 2013, pushing the uninsured rate below 3 percent. People who have put off physicals, screenings and procedures because of concerns about bills now have the coverage to be treated. The health care systems want to ensure they can fold these newly insured patients into an effort to steer them to appropriate places for care. Often that equates to visiting an urgent care center instead of hospital emergency rooms, where the cost of care, even for minor injuries and illnesses, is expensive. But as people who are newly insured under the Affordable Care Act start using their coverage, CHAS Health expects demand for care to grow. The association’s seven clinics in the greater Spokane area and three in Idaho already serve about 55,000 patients each year, most of whom are low-income, said Aaron Wilson, CHAS Health’s chief operating officer. Rockwood Health has plans for a $5.2 million emergency clinic with 12,720 square feet of space at 8200 N. Division St., according to building permits. It will have 15 beds and offer 24-hour care every day with lab and X-ray services on site. Rockwood spokeswoman Jill Fix said the facility will serve patients who need more help than urgent care clinics are equipped to offer, yet who don’t require the full-blown trauma care given by hospital emergency rooms. Rockwood has added to its emergency department at Valley Hospital in the past five years and is finishing a major remodel and expansion of its emergency room at Deaconess Hospital. It already has six urgent care centers in the Spokane area. Within the past three years Providence has opened three of its own urgent care centers. The organization also completed a significant expansion of its emergency department at Sacred Heart Medical Center and made changes at Holy Family Hospital. Now Providence is trying to ensure the best use of its hospital emergency units where 141,047 patients received treatment last year. Its urgent care centers are helping with that triage effort, spokeswoman Liz DeRuyter said. 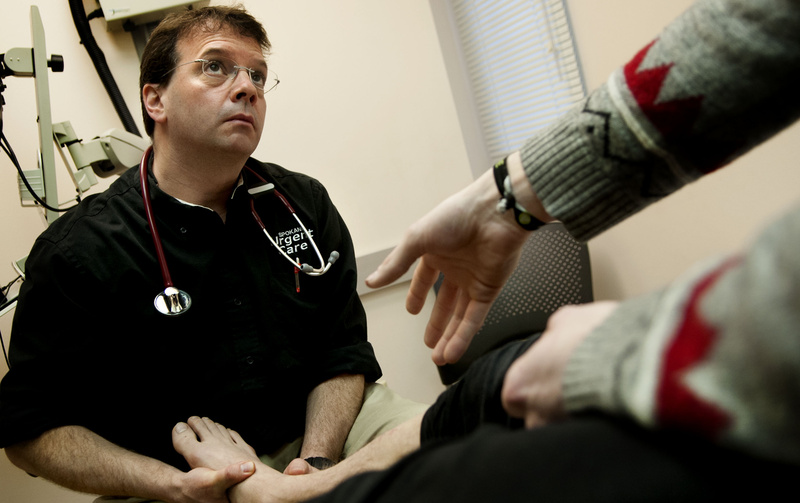 In 2013, Providence’s fledgling urgent cares treated 23,261 patients. Last year, the number almost tripled to 66,853 patients. This fall CHAS will open an urgent care center in Spokane Valley at 1512 N. Vercler Road in a building the organization bought for $2.3 million. An existing clinic in Spokane Valley will relocate. CHAS Health already operates one urgent care center in north Spokane near Holy Family Hospital. The clinic serves more than 80 patients daily from November to March during the busy flu season. The Spokane Valley urgent care will provide another option for patients who have difficulty getting to the north Spokane facility, Wilson said. CHAS Health’s existing primary care clinic and pharmacy in Spokane Valley will also move this year to a $4.25 million building at 15812 E. Indiana Ave. Along with a new clinic in Spokane’s Perry Street neighborhood, CHAS is expanding its capacity and geographic reach. CHAS Health expects to serve about 6,000 patients at its Perry Street Clinic, which will open in late March. The primary care clinic will open in rented space at 817 S. Perry St., Suite B, and will include a pharmacy. Wilson said the association is also interested in opening a clinic in Cheney in the future but hasn’t secured funding.